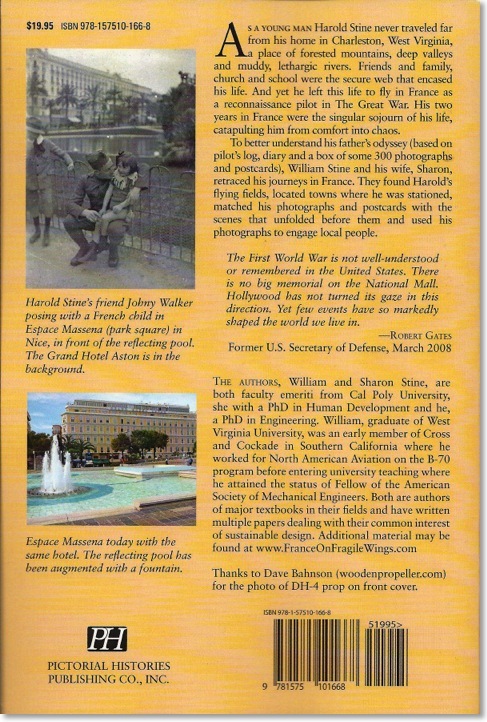 This is a true-life story of my father, Lt. Harold B. Stine. A twenty-three year old from Appalachia, he was thrust into World War One in 1917 as an observation pilot to fly the battle lines of northern France. Young and naive with only a few hours of training in a bi-wing Jenny, he experienced "enough horror to last a lifetime". But he also experienced a rural France of quaint villages, rolling farms, tranquil streams, ancient churches and a richness of culture that forever altered his life. 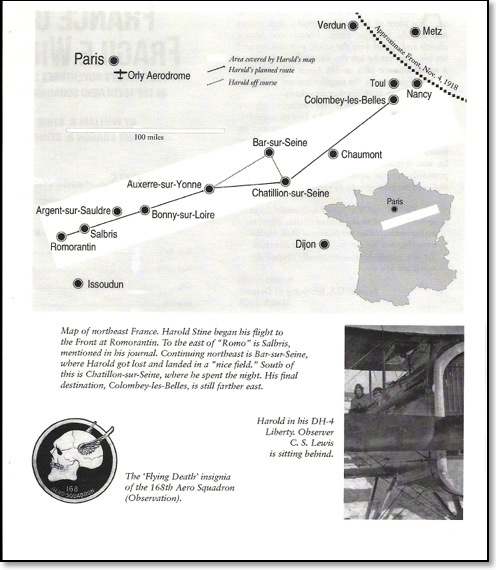 Eighty years later, my wife and I doggedly retraced my father's footsteps across northern France from town to town, airfield to airfield, bivouac to bivouac, even café to café, guided by the diaries, letters, maps, photos, postcards, souvenirs and stories my father brought home. We talked to village mayors and historians, scoured library records, interviewed local officials, shopkeepers, farmers, members of French aero clubs and explored the remains of rural aerodromes until we recreated his story. 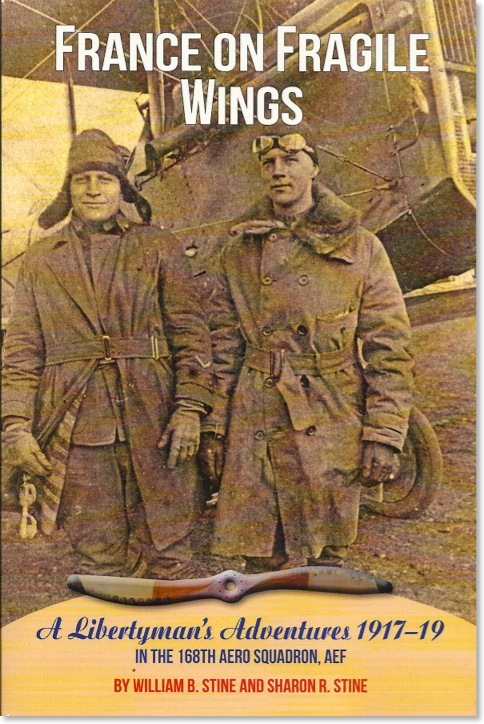 Also included in this book are heretofore unpublished historical records on the 168th Aero Squadron in which my father served. WWI was the last war fought without modern methods or bearing whitness. There are virtually no film reels, few battle photographs and only a smattering of reliable frontline news reports and much of what exists was either produced under suffocating censorship or made as propaganda. …Saw lots of dead Huns and Americans as well as stray hands, legs etc. Saw enough war to do me the rest of my days.